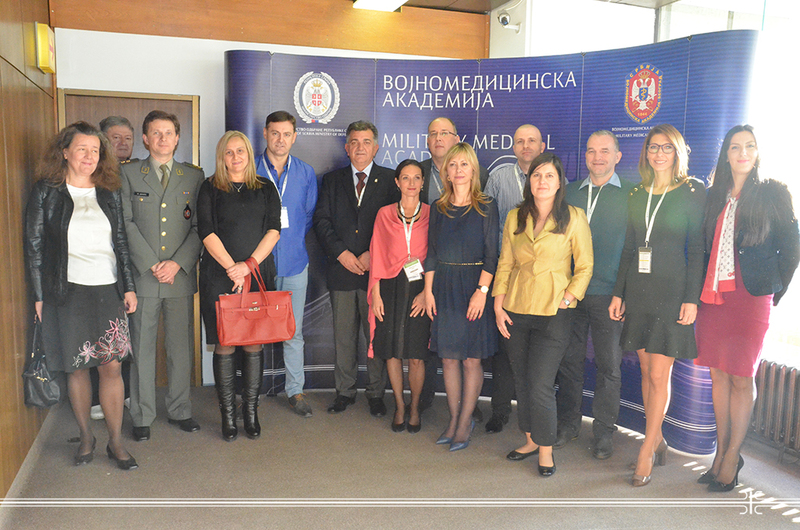 Symposium "Basics of dermatosurgery and procedural dermatology", organized by the Association of Serbian dermatovenerologists, Clinic for Dermatology and Venereal Diseases and the Clinic for Plastic Surgery and Burns of the MMA, was held at the Military Medical Academy. Lecture topics covered all aspects of skin surgery, from the general principles of dermatologic surgery to different techniques of effective skin biopsies and biopsies of specific localizations. Also, it was discussed about the skin flaps reconstruction; nail surgery, cryosurgery and skin electrosurgery. Participants had the opportunity to follow live the excision of the primary melanoma from the operating room of MMA. More than 200 participants from the region attended the event, held in the framework of the international symposium "Belgrade Dermatological Days", and in addition to doctors of the Military Medical Academy lecturers were also members of the Clinical Center of Serbia and Clinical Center Vojvodina.